Aerial view of the Kasta Hill site. Ancient Greece’s largest tomb has more than its fair share of secrets. 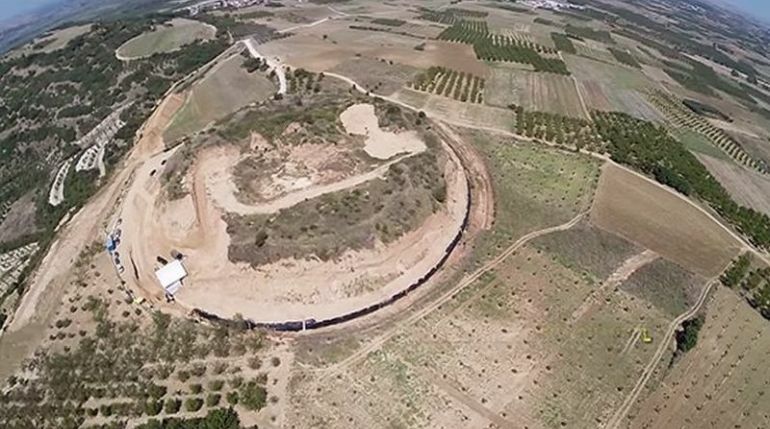 While back in January of 2015, it was revealed that the Amphipolis Tomb had not one, but five occupants; researchers are now hypothesizing that there is possibly a second monument at the Kasta Hill site. This hypothesis is based on a geophysical survey, carried out by the Applied Geophysics Lab of the Aristotle University of Macedonia. And the consequent results have revealed a hidden structure buried at a depth of around 2 m (around 7 ft) on the west side of the hill. We have a three-dimensional representation and the distribution of resistance shows that there is something there. We guess there is a second monument, far smaller than the one found, that has been found at a depth of about two meters and it should be investigated. The geophysical study of Casta Hill was commissioned to our workshop in 2014 and the university has funded the research in full. We have already explored the hill and processed the data, which is difficult because of the volume, and have found some additional data. An excavation permit is needed and now we are trying to find the funds to continue. 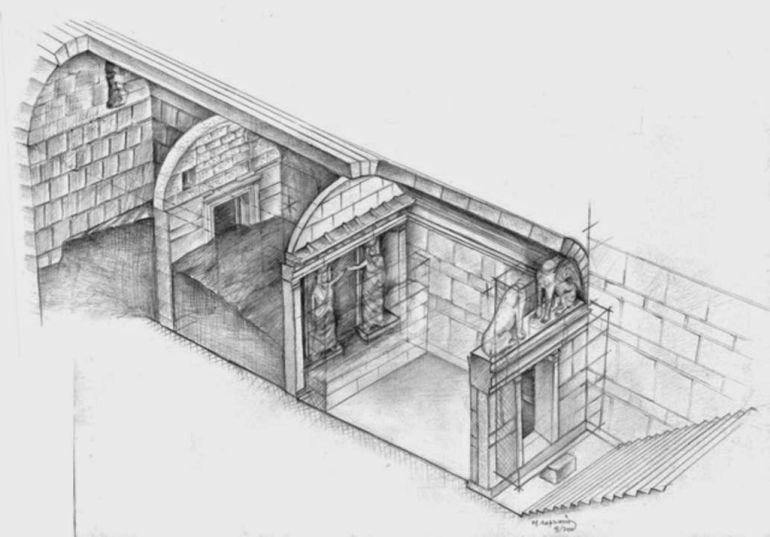 Artist’s rendition of the Amphipolis Tomb layout. Credit: Greek Ministry of Culture.